Hands up if you love healthy snacks! I don’t think I could get through the day surviving on three meals. My body is not built for that. A few hours after breakfast and a few hours before dinner, I’m chowing down on an apple with peanut butter or a grab n’ go granola bar. It’s just real life. Personally, my favourite healthy snack is one that is packed with protein (so you don’t get those hunger pains twenty minutes later) and also tastes like dessert. I know you feel that dessert-for-snack-time life too, so that’s where we’re going today! I’m so pleased to introduce to you my very first eCookbook, 30 Days of Protein Truffles. In case you were wondering, yes, I did just do a little happy dance complete with energetic squealing. I’ve been wanting to share this cookbook with you for quite some time, and I’m so damn happy the day has finally arrived when I can release my baby into the world for you to enjoy. Ever since I shared my Cookie Dough Protein Truffles with you (a.k.a. the Genius Balls), I’ve had hundreds of flavour combinations running around my head that I want to turn into protein truffles. 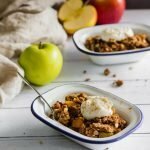 I couldn’t wait to share them with you, so I decided I’d put some of them into a cookbook for you to enjoy all at once. You guys, it was SO HARD deciding which flavours to include in the book. I must have switched around the line-up fifteen times before I finally forbade myself from making any more changes. The book was originally meant to have four recipes total. Each recipe makes enough truffles for you to pop two delicious, protein-packed snacks a day for one week; hence, 30 Days of Protein Truffles. But when I got the flavour combos down to five, I couldn’t narrow it down anymore, so I’ve included an extra bonus week of snacks! Just because I love you guys. I know you’ll have questions, but let me answer a few for you right now. For those of you who haven’t made (or seen!) 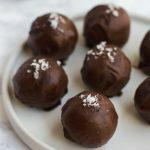 my recipe for Cookie Dough Protein Truffles and are wondering what the hell I’m going on about – “protein truffle” is my slightly poncey way of referring to an energy bite or protein ball. Because all of my energy bites taste like desserts or cocktails, I felt “truffle” was a bit more elevated and dessert-like. So that’s what we’re going with! 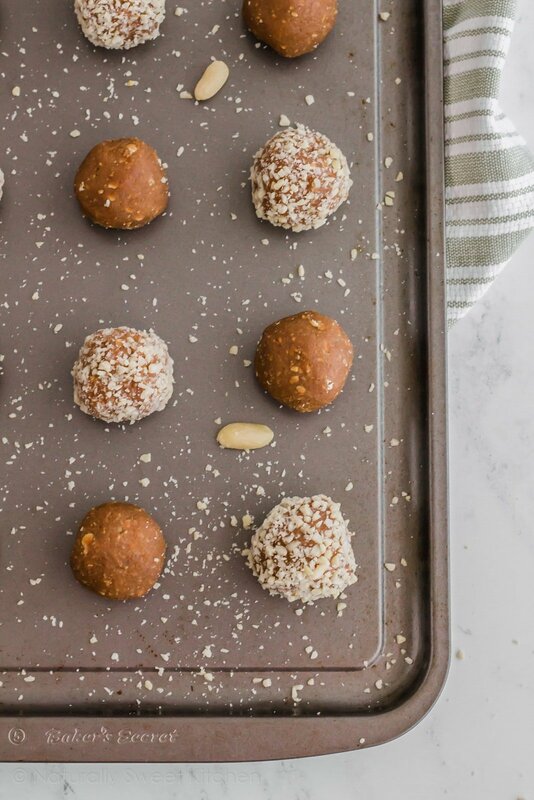 All of the recipes in the 30 Days of Protein Truffles eCookbook are gluten-free, dairy-free, vegan, and (as always) refined sugar free. I wanted to be able to offer this book to everyone regardless of their dietary preferences or intolerances. People everywhere should be able to enjoy dessert-flavoured protein snacks! They’re the perfect bite-sized snack to take to work for those late-morning-but-it’s-too-early-for-lunch hunger pains or to pop in the kids’ lunchboxes to take to school. They also work a treat pre or post-workout and can double as a I-pressed-the-snooze-button-too-many-times breakfast. Really, they’re good for any time of day. I’ll sneak one after dinner too if I have a sugar craving! Sounds great! Can you tell me what the flavours are? Absolutely! This is my favourite part! I wanted to include a range of flavours so you have choice and it doesn’t feel like you’re eating the same thing week on week. Remember how I said I like healthy snacks? I like exciting, punchy snacks with lots of flavour, and that’s exactly what you get with these. 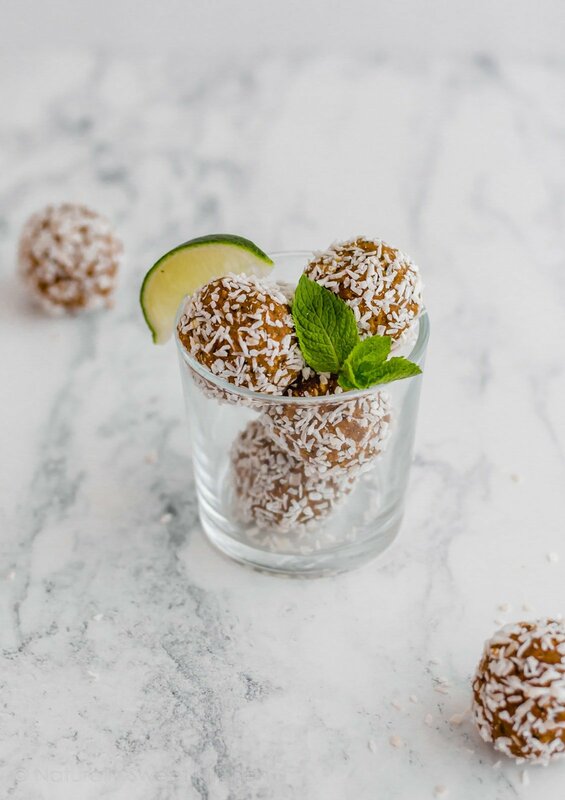 When I say a protein truffle tastes like a mojito, you know it will taste like a mojito. Lemon Coconut – lemon is such a refreshing and invigorating flavour; the zing of this truffle will put a pep in your step! Blueberry Jam – this is such a sweet and comforting flavour; pop one of these and you’ll feel like you’ve snuck a spoonful of jam from the jar. 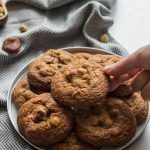 Bonus flavour: Peanut Butter Cookie – because who can say no to a healthy snack that tastes like a peanut butter cookie?! You’ll be shocked by how accurate the flavour and texture are! YUM. But how much does 30 Days of Protein Truffles cost? Ah, I thought that may come up. Here’s the best bit: I’m actually giving this book away FOR FREE. No joke. 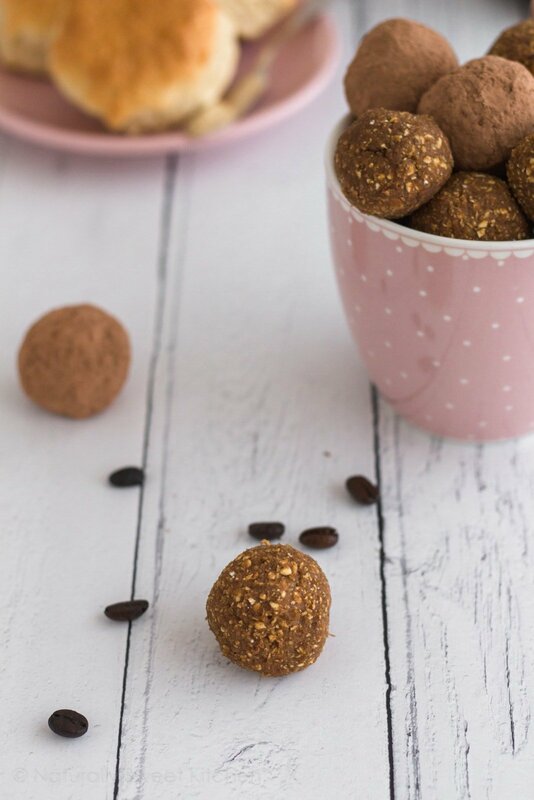 You can have all five of my favourite protein truffles recipes (as well as some #success tips for making the best truffles ever) at absolutely no cost to you. All you have to do is join the Naturally Sweet Kitchen Crew! Whoa, hold up, what’s that? In short, the NSK Crew is you! Well, you, myself, and a supportive community who love eating wholefoods, who want to live in a more balanced way, and who don’t want to feel guilty for enjoying, eating, and doing the things that bring them happiness. 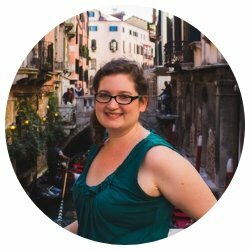 I want this blog to be a place where we can all connect and support one another in our goals. 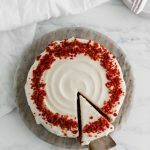 Whether that be helping someone accept and move past the feelings of food guilt, celebrating our successes in the kitchen as we conquer new baking techniques, or offering someone help with 80/20 meal planning or developing a happier lifestyle. I’m happy to be your baking guide and provide you with the tools and inspiration you need to live a more fulfilled life, but I’m not an expert in everything. There are Crew members out there that are far more experienced in certain areas than I am, and I’d love it if we can all connect and share our gifts with each other. The world needs more caring, empathetic people and I know that includes you, so join us! 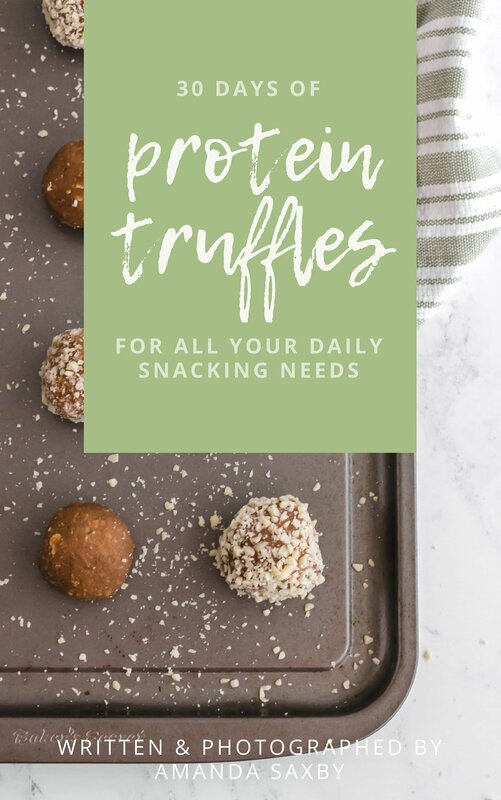 And hey, if you subscribe to the Crew you’ll not only receive a free copy of 30 Days of Protein Truffles, you’ll also get weekly updates on the content you may have missed here on the blog as well as a monthly newsletter! Our newsletter is awesome because every month I send out 80/20 lifestyle tips, baking tips and natural ingredient swaps, Crew member shout-outs for people who have been especially helpful or kind in the community, and exclusive Crew members-only content. This special content will only ever be available in the monthly newsletters, so you’ll miss out if you aren’t part of the Crew! Plus, you’ll be first to know when new and exciting stuff happens here on the blog and beyond. Free dessert-flavoured snacks for 30 days (and beyond). A whole group of supportive new friends with like-minded goals. Exclusive content delivered to your inbox every month. Wait… aren’t I already part of the Crew? You totally might be! If you receive weekly email updates from me (they may be ending up in your promotions folder, fyi), you’re in the club. And a massive thank you for being so awesome! I’ll be shipping off a copy of 30 Days of Protein Truffles to you today so keep a watchful eye on your inbox. Wouldn’t want you to miss out! 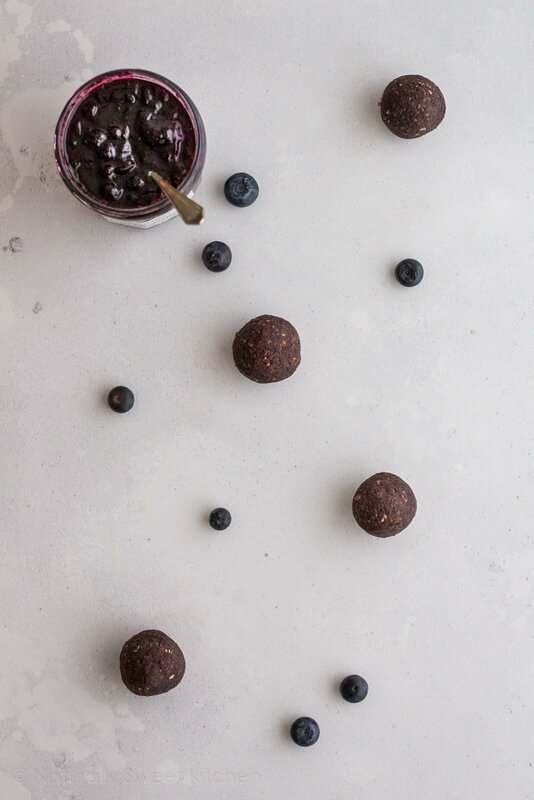 Now, which protein truffle will you make first?